Home » Can stem cells treat back pain? 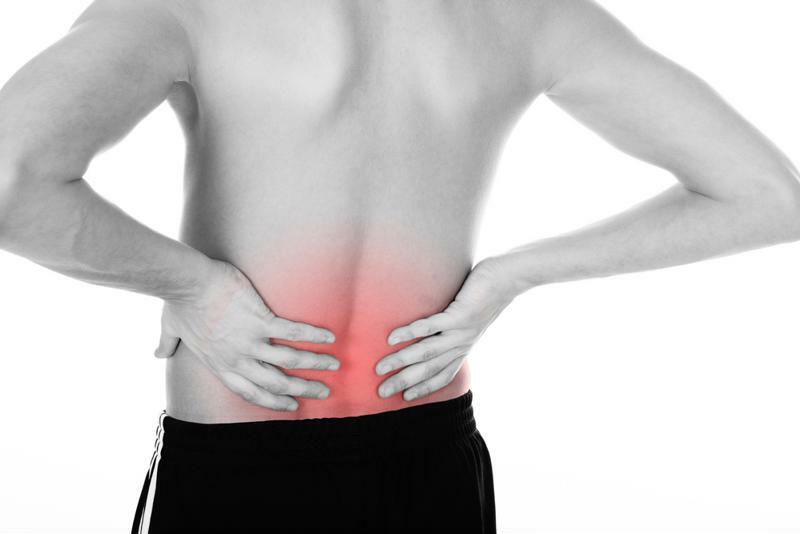 If you're suffering from back pain, you know how debilitating it can be. Often you feel it immediately and, if you don't get it treated, it gets worse in time. For those suffering, there aren't many non-invasive treatment options that work. For some, exercise and weight loss programs can help relieve persistent pain. This, of course, takes time. For others who may not have weight problems, their only options may be to take medications or place hot/cold packs on the problem areas. While pain medications do work, they can be dangerous and addictive. Hot/cold packs often only work with minor pain caused by pulled muscles. And, when these conservative efforts fail to solve the problem, invasive surgery may be the only option. invasive surgery, you're not alone." If you're skeptical about invasive surgery, you're not alone. For major back pain, people often opt for spinal fusion surgery, which requires attaching rods and screws to the back and spine. Most patients not only fear surgery but dread having to stay on antibiotics for 48 hours to prevent infections or complications. "Fusion is a big, big step with questionable effectiveness," said Dr. Joseph Meyer Jr., an anesthesiologist and pain medicine specialist at the Columbia Interventional Pain Center in St. Louis. "Often, you're back in the same boat a year later." An alternative treatment option is using stem cells, and while this method is still in its infancy, there are positive signs that indicate stem cells could be a viable option in the near future. Meyer says that if people are out of options to treat their ailing backs, they could turn to stem cell treatments before resorting to surgery. While this process may not work everyone, which is the case for any treatment or medicine, the procedure is much safer. Unlike surgery, there are usually no long-term repercussions. A study, featured in a July 2015 issue of International Orthopaedics, examined 26 patients with chronic, discogenic back pain. Discogenic back pain originates from a damaged vertebral disc usually from degenerative disc disease. This usually occurs naturally with old age. For those that continuously suffer from back pain, stem cells is a non-invasive procedure to help. Doctors treated all 26 patients with bone marrow concentrate by injecting it into the nucleus pulposus of the symptomatic disc(s) under fluoroscopic guidance. Over the next six, 12 and 24 months, doctors evaluated patients for complications or pain. Of the 26 patients, 24 were able to avoid surgery through 12 months, while 21 did so through two years. The study indicated that stem cells not only helped at least push off surgery, but also helped reduce back pain. Meyer treats patients by using a long needle to extract bone marrow from the back of their hips. Like PRP therapy, Meyer then spins the bone marrow in a centrifuge to separate and concentrate the cells. After they're concentrated, he injects the cells into a space around the damaged disc. While testing continues to be done, one thing is clear: Stem cell treatment is an option for those who have back pain and for those who are hesitant about inserting rods and and screws into their back.